In today’s busy world, who doesn’t love a good time-saver? And when it comes to digital marketing, I think it’s safe to say we’re always looking for ways to save time and, ultimately, money. Using a content management system (CMS) like HubSpot helps by providing a foundation for your content efforts. But there are plenty of tools available to support your CMS and help you get the job done efficiently. Yet with so many options out there, which ones should you be using? 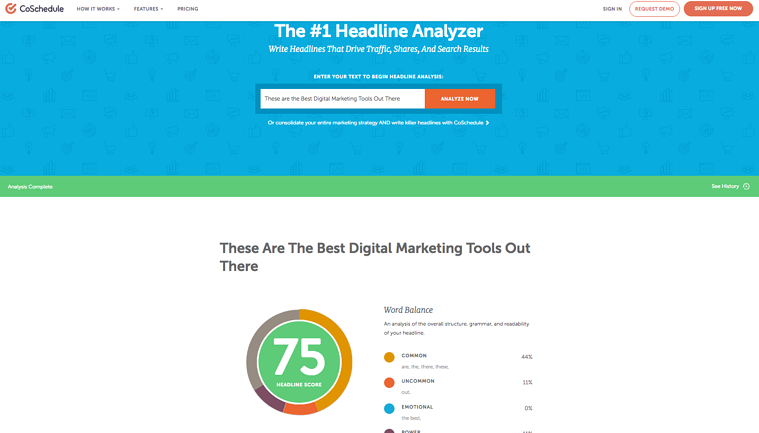 According to our in-house team, these are many of the best digital marketing tools to help you manage all the parts and pieces of your digital marketing wheelhouse. Here, we break them down by category. We all know by now that search engine optimization, or SEO, is critical to getting your information found online. SEMRush offers various ways to help you find the right keywords to target and plan your content around the most highly searched terms. With this tool, you can also look at your domain to see what keywords are bringing in the most traffic. Sophisticated reporting capabilities enable you to see what your competition is doing with both organic traffic and paid advertising. SEMRush offers monthly and annual plans to meet your needs and your budget. The keyword planner tool is a free feature of AdWords. It helps generate keyword ideas for your business and gives bid estimations to help you choose a competitive price. Filters help cultivate your audience and budget based on location, search volume and trends for relevant keywords. You can view data in different languages, which is useful if your website has an international presence. 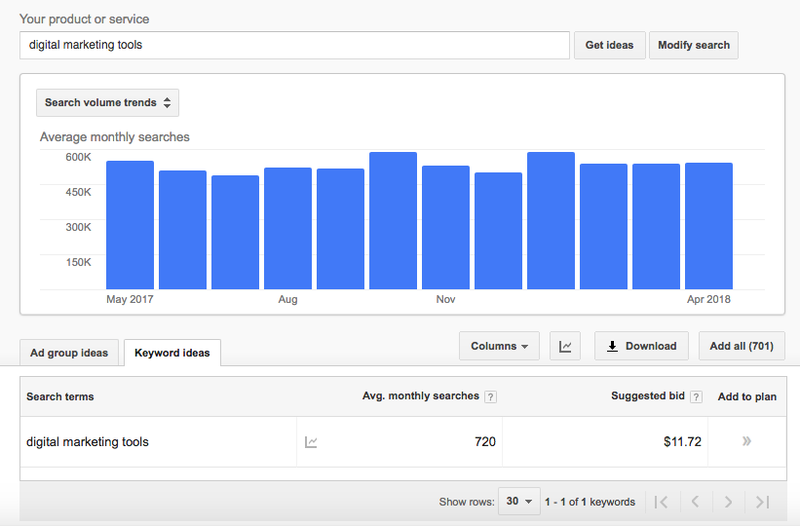 Like SEMRush, the keyword planner tool can help you see what dollar amount your competitors are bidding on a keyword so you can determine which of your desired keywords fall into your budget. 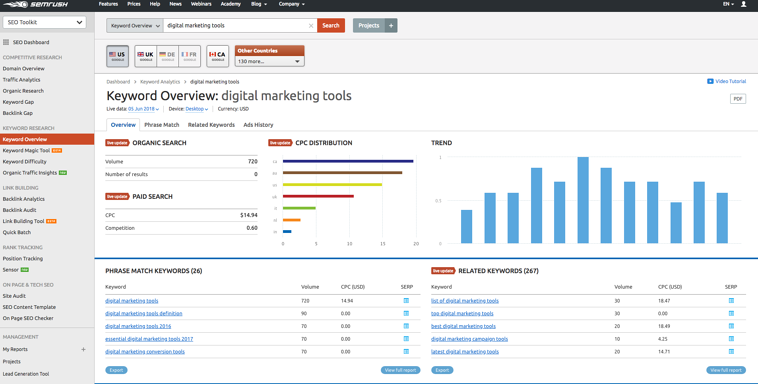 Another tool to find out what your competitors’ keywords are, SpyFu, goes a step beyond by showing you everywhere your competitors have appeared on Google for the last 11 years. It provides recommendations for SEO to help increase your site’s traffic and drive clicks to your AdWords campaigns. A benefit of SpyFu is you can see competitors' ad tests, which can help you avoid costly mistakes. By learning what worked and what didn’t for companies like yours, you can tailor your ads to better serve your target audience. The pricing is reasonable, with membership starting at just $33/month, which includes unlimited searches and downloads. SpyFu also offers a 30-day money-back guarantee. This one probably comes as no surprise, but for graphic designers, Adobe Photoshop is the leading tool to edit and enhance images. This versatile tool lets you edit videos and design websites, mobile apps, logos, banners and just about anything you can imagine. 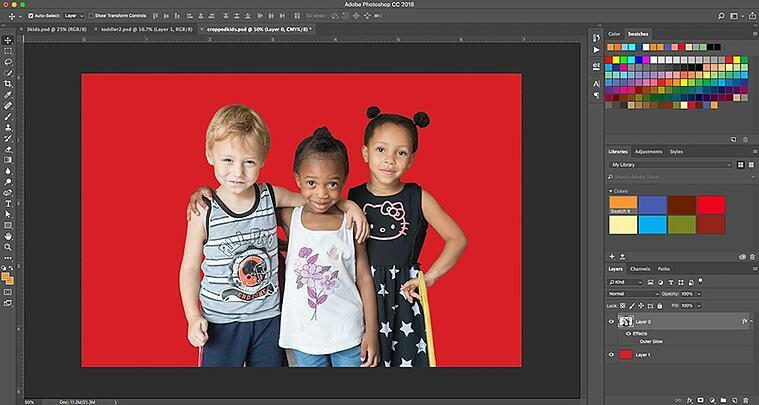 You don’t need to be a seasoned designer to get started with Photoshop, either. Using Photoshop to adjust, crop and add effects is simple enough that even amatuer designers can hit the ground running. With Photoshop, there are endless possibilities for what kind of imagery you can create. You can do a free seven-day trial, but there are several pricing options available. This design tool offers a variety of photo editing options with free Chrome extensions and web apps. Unless you want to save your work and come back to it later, you don’t need an account to touch up your photos or create designs. Pixlr Editor is for the more sophisticated photo retoucher, while Pixlr Express is more simplified, making photo editing quick and easy. You can get Express on the web, iOS and Android, but Editor is only available for the web. Create dramatic overlays, fun frames or get random effects added to your image with the randomizer feature with Pixlr-o-Matic. Whether you’re customizing something for your business or just looking to make an image more fun, there’s an app for that. For graphic designers, optimizing for desktop and mobile is crucial to making a site functional. Certain design elements can slow down load times, so knowing what can improve them is key. 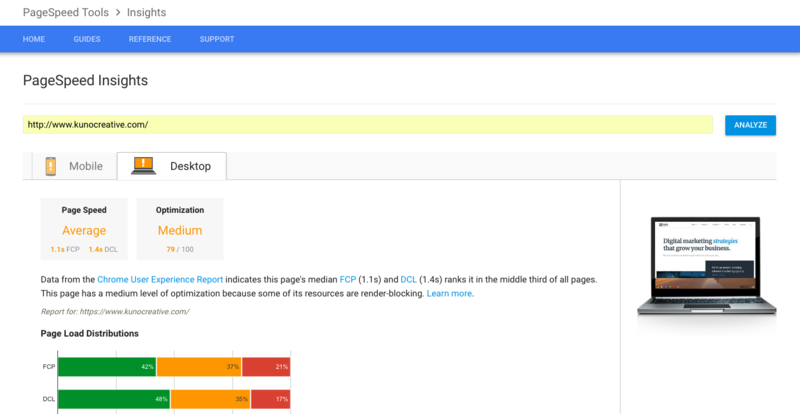 PageSpeed Insights is a free resource from Google that provides real-time data on page performance for mobile and desktop devices, along with suggestions to improve them. It looks at how well a page follows best practices and ranks it with a score through 100. PageSpeed Insights evaluates the time it takes from the moment the user clicks on a new page to the moment above-the-fold content loads in the browser. This data can help a designer better understand which elements to use in what locations on pages. 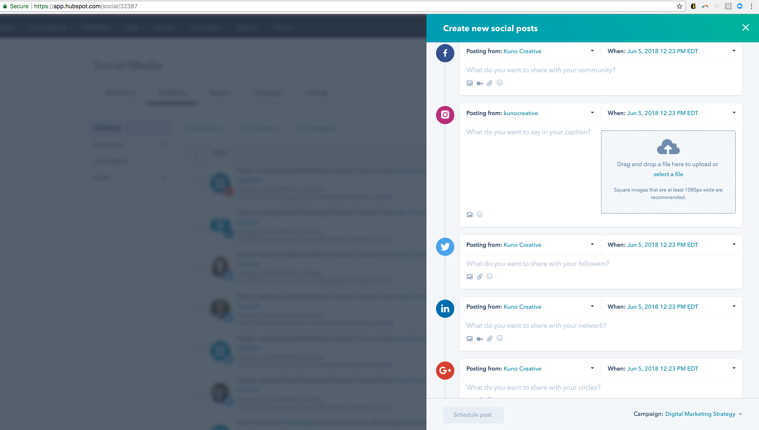 HootSuite makes it easier to manage all your social networks from one place. The tool also gives you analytics and reporting metrics that can streamline your reporting process and save you time. There are various plans available, depending on your team’s size and the number of social profiles you’ll be managing. What’s really helpful is the monitoring feature, which lets you filter social conversations by keyword, hashtag and location in numerous languages so you can stay on top of conversations in the industry, whether it’s about competitors or your brand. HootSuite helps you manage your organic posting, but if you’re looking for help with advertising, AdEspresso is a great resource. 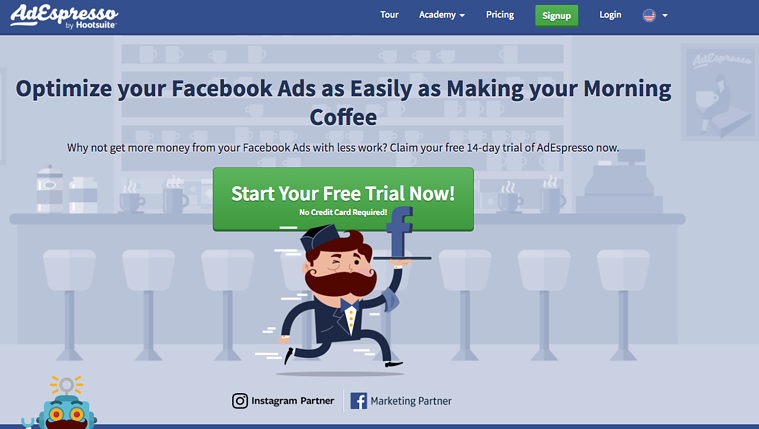 Specifically for Facebook advertising, AdEspresso analyzes the performance of your ads so you can more easily recognize what’s working and what’s not, so you can adjust accordingly. There are various pricing packages available, depending on how much you’re spending monthly. AdEspresso allows you to create multiple campaigns so you can test the different variations. Using the AdEspresso Campaign Editor, you can test hundreds of ads in minutes rather than hours. Increase conversion rates by being able to better control the placement, timing and custom audiences of your ads. Among HubSpot’s many features is the social publishing tool. 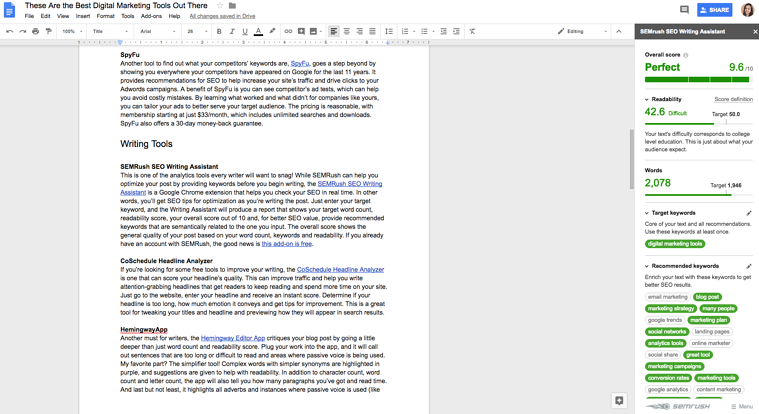 Write, schedule and publish posts in advance using this feature. What makes this convenient for me as a writer is the ability to tie different posts to different campaigns. This brings everything together, associating everything with a campaign that can easily be found in one place to more easily determine ROI. You can publish to multiple platforms in a matter of minutes, simplifying the social media scheduling process. Hubspot offers a free trial, but you will ultimately need a HubSpot account to get the most out of this feature. When building a website, you want to know what works and what doesn’t. Crazy Egg gives you insight on what visitors are doing on your site to help you make growth-driven design decisions. Learn where visitors are coming from and what types of content they’re clicking on around your site to help you create more relevant content in the future. 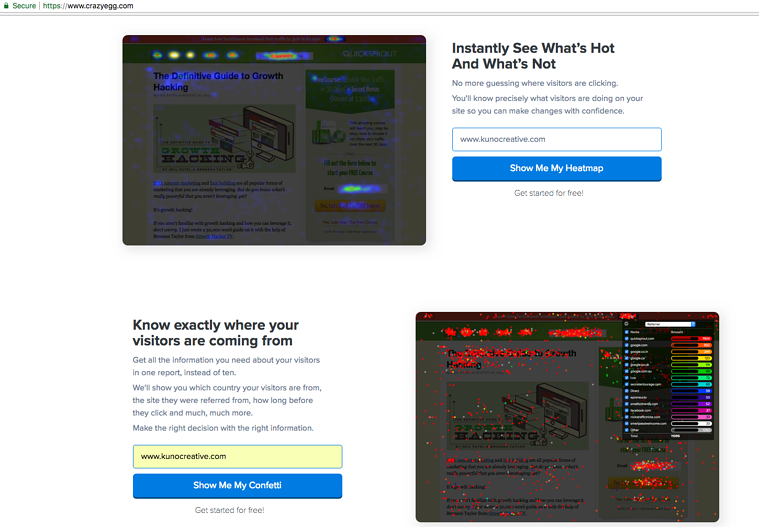 Another beneficial aspect of Crazy Egg is A/B testing, which lets you test different colors, images and copy to discover what elements are more effective. While there are many of these features you can test for free, you will need an account to use this tool on a regular basis. Crazy Egg offers several plans, depending primarily on the number page views per month. 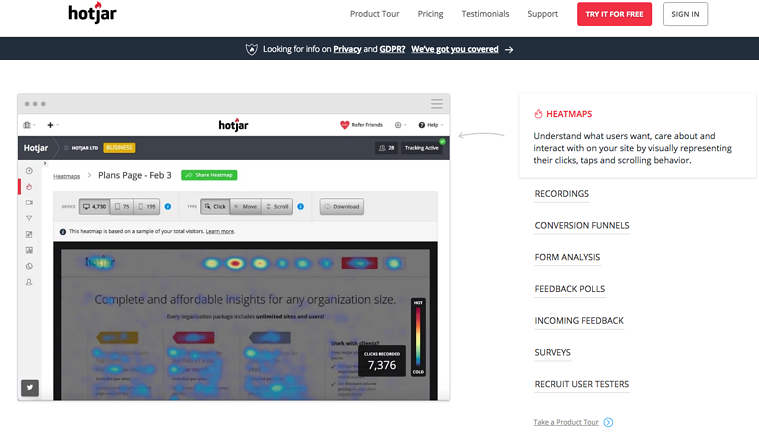 Another tool that gives insight on how people are using your website, hotjar provides similar insight to Crazy Egg but also offers the ability to collect feedback from users. Responsive surveys can be used on any device, and you can even recruit test users with a feature that lets you write a custom message to encourage participation and collect the potential user’s information. There’s also a poll functionality that enables you to create time or event-based questions and collect answers from web and mobile visitors. You can try hotjar for free, but the paid versions offer wider capabilities, depending on your needs. If you need to make digital flowcharts or process maps, Lucidchart lets you create and share them with team members for easy collaboration. Chat with your team about items in the chart in real time or leave comments. The charts can then be exported to one of many standard file formats or published online. Wow your team with charts that are simple yet professional looking and compatible with most other programs. 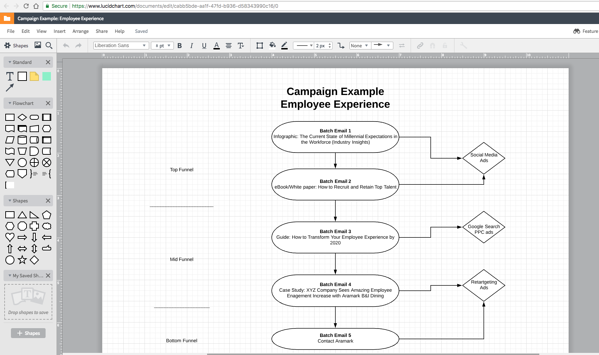 Even for your not-so-tech-savvy team members, Lucidchart is easy to use. You can get a free account, but there are paid subscriptions that offer more extensive capabilities, depending on whether you need a professional account and how many users you need. As you can see, there are a lot of great tools at your disposal to help you make strides with your marketing plan. But tools are merely tactics to help you get the job done, and they shouldn’t be confused with strategy. Only you can drive your strategy forward to create successful marketing campaigns for your target audiences, and achieve real results in the form of conversions. 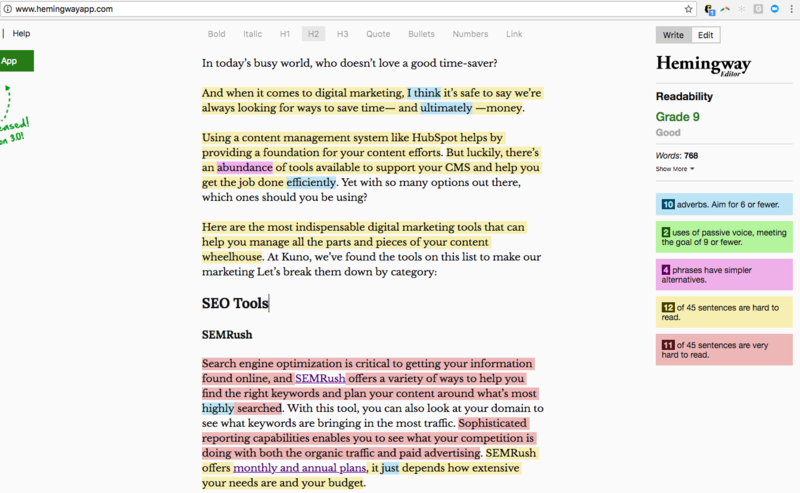 These tools will help you base your decisions on facts and allow you to work more efficiently. Are you looking to take your digital marketing strategy in a new direction? Digital marketing tools can make a big difference, but there are several other elements to consider. Kuno has bundled our seven most popular resources together to give you a well-rounded set of tools for propelling your strategy forward. Download this free essential kit, our Digital Marketing Acceleration Kit, to move your marketing in a different direction.